Are you looking for any government job? Here is an opportunity that the doors are opening for the Bihar post circle Postal Assistant Recruitment 2019 along with the sorting assistant, postman and multi-tasking as well. The applications are invited in the offline mode and the recruitment process is for filing 35 vacancies in the state of Bihar. The candidate who have completed and passed in ITI or 12th standard or its equivalent with supportive sports qualification may apply for the job. The selection will be made on the sports and the education qualification and followed with the personal interview. 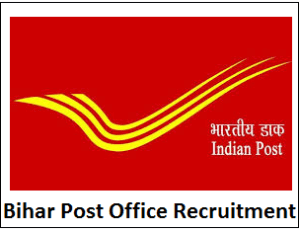 The candidates may look for the Bihar postal circle Sorting Assistant Recruitment 2019 and Bihar postal circle Postman Recruitment 2019 in the official website of www.indianpost.gov.in and apply for it before 25th of April. For applying for the Bihar postal circle recruitment 219, the aspirants send the documents to the Indian Post Office (IPO) in favor of “Chief Postmaster General, Bihar Circle” that is payable at the post office “Patana GPO, Patna” The candidate may also deposit via UCR at any of the post offices in Bihar. Step 4: If you are interested and the eligible candidate you may download the application and fill the details and send them after attaching the necessary documents with it. Step 5: Submit the documents through postal mode and make sure the documents reach before 25th April 2019.